Oscar Trimboli on episode 168 introduced us to Tom. The best way to learn everything is to teach. 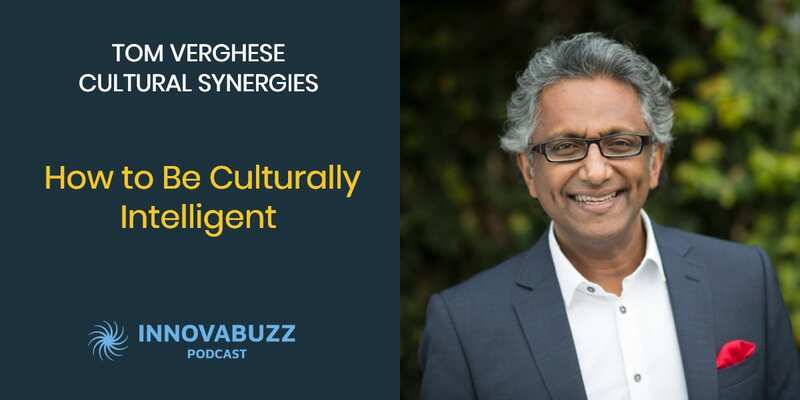 Cultural intelligence is the ability to interact effectively with people from different cultural backgrounds. It is fundamentally developing the ability to be culturally agile. The farther you are located away from your colleagues, the more difficult it is to work across borders and across time. As a leader of virtual teams, you have to be very conscious of looking at how to create activities that can help build relationships. Get to know your people at the fullest level. Get to know them beyond their professional identity. Before you can understand any culture, it is important to explore your own because everything is relative to you. Culture is subjective. We look at other cultures based on our own styles and our own value sets. It is all about understanding your own culture so you can understand the culture of others. Culture is the lens through which you look out in the world. Knowledge – understanding the different aspects of any particular culture you are spending time in and having a different strategy in place for each of it. Execution – the action, how you are going to put it into play. Develop a repertoire for giving different types of feedback. Direct feedback – going directly from point A to point B.
Sandwich/hamburger model – saying something good and then giving the negative feedback, and finishing it off with something good. Open sandwich model – giving negative feedback and finishing it off with something good. Vegetarian model – no meat, telling a story and using examples of someone else. The better you get to know people, the closer you will develop the relationship. Affinity bias is our tendency to trust people who are similar to us. Cross-cultural experiences help develop a level of empathy. Here are Tom’s answers to the questions of our Innovation round. Listen to the interview to get the full scoop. #1 thing to be more innovative – Stop and allow time for reflection. Best thing for new ideas – Reflection and meditation practice. Traveling. There is something that comes from just allowing the mind to explore new ideas. Favourite tool for innovation – Engaging with people. People are a great source of ideas. Keep project / client on track – Outsource to my assistant. Differentiate – Realise that as individuals, we are actually a brand. Know what you stand for. That requires a level of self-awareness. If you think of yourself as a brand and if you can list all the things you want to be known for, those things will become your differentiator. Think about it as a long game – what you need to do to build your brand, your credibility, your body of work, and your network. It takes time. You can reach out and thank Tom through his website. Tom suggested I interview Duncan Smith, a highly experienced organisational consultant, working in the area of diversity and inclusion. So Duncan, keep an eye on your inbox for an invitation from us to the InnovaBuzz podcast, courtesy of Tom Verghese. He was born to Indian parents and raised in Malaysia. He speaks a number of Asian languages. He holds a Doctorate in Business Administration, Graduate Diploma and Masters in Education Training, and a Diploma in Management.